AGENDA SURF and Squids Wake have teamed once again for a quick low down on some new 2013 products. Watch Squid on his latest Tip-to-Tail product spot-light featuring the uniqueness of AGENDA SURF’s new 2013 Wakesurf Rope & Handle Combo. 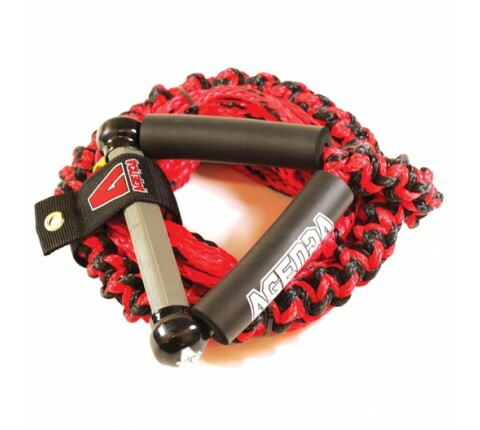 Our 24ft Wakesurf Rope Combo keeps you in the sweet spot at any length. Four removable sections let you adjust rope length to your boats’ sweet spot without the extra rope making a mess in your boat of flopping around spraying you with water while you surf. The super Comfy machined EVA handle with dual floats makes starts easy and comfortable. Our 1.5in diameter 4ft bridle section lets you easy grab and hold the rope on those pesky quick recovery to get back in the pocket.